With the holiday season on the horizon, brands are opening temporary stores across Manhattan to entice design-savvy shoppers. Here are five worth a visit ahead of the annual retail rush. A pink bouncy castle buffeted by 30 high-powered hairdryers features at this futuristic concept store, from fashion brand The Arrivals collaboration with technology company Dyson. Outerwear from The Arrivals’ latest collection and limited-edition items will be available at the shop, along with a curated selection of products including jewellery, headphones, eyewear and handbags. 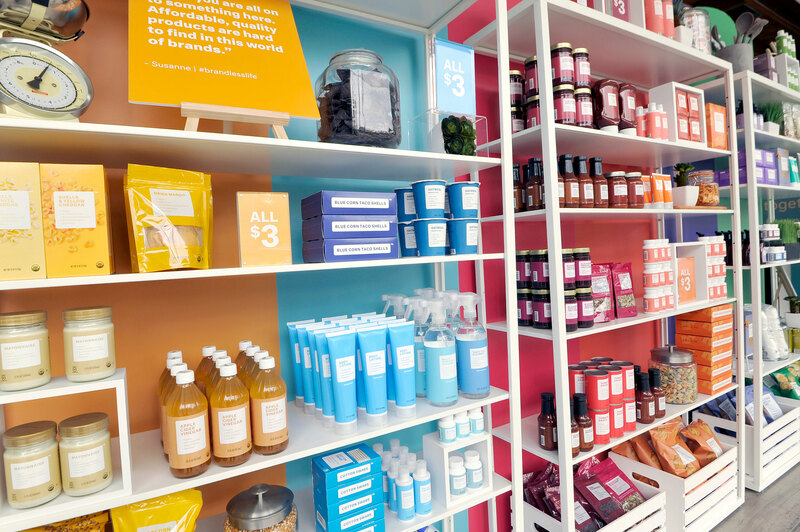 Following its summer 2017 launch, online retailer Brandless has opened its first physical space in the Meatpacking District to showcase its ever-growing range of products – all of which cost $3. The design of the space is based on the minimalist packaging, featuring a trademarked white box, and includes areas that allow customers to test different items like cosmetics, snacks and stationery. 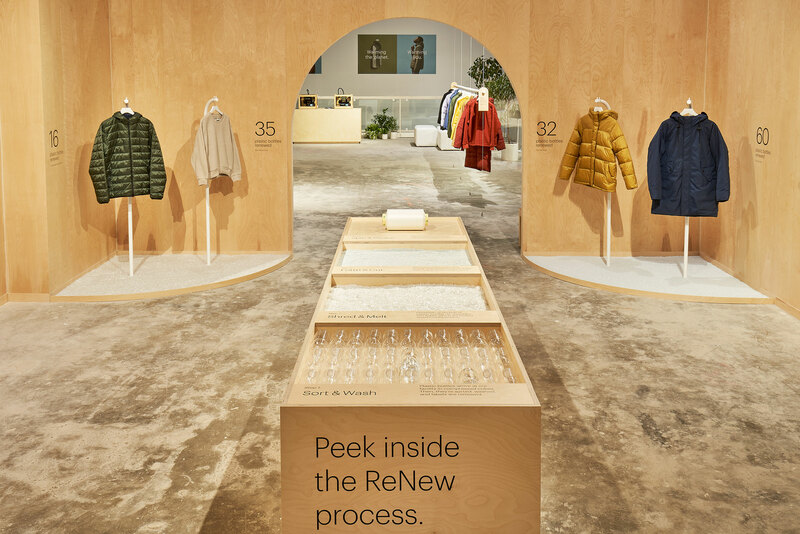 Fashion brand Everlane is celebrating the release of its ReNew collection – made almost entirely from recycled plastic bottles – with a pop-up that explains the issue of waste plastic and how it is turned into fibres, and displays the finished garments. The initiative forms part of Everlane’s commitment to removing virgin plastics entirely from its supply chain by 2021. 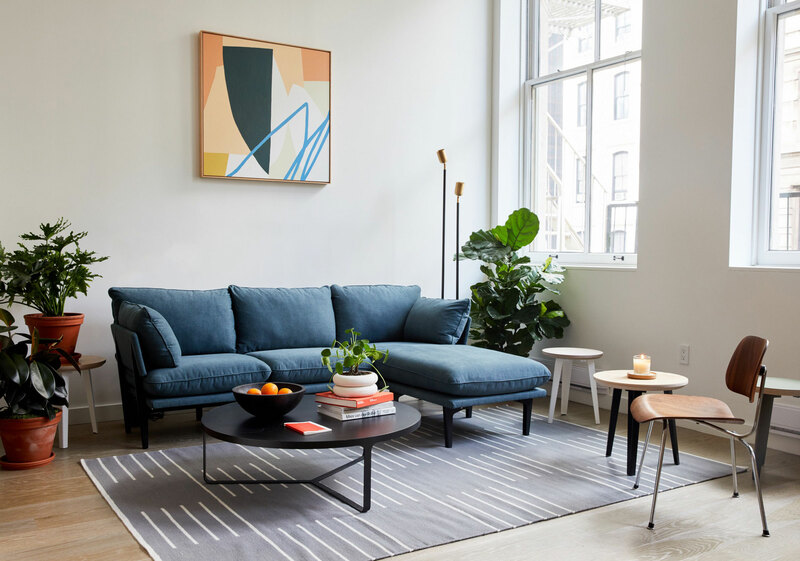 Detroit-based online furniture brand Floyd has taken over a spacious SoHo apartment to present its range of flat-pack products, which so far includes tables, beds and a newly released sofa. The minimally designed Housewarming space is laid out just like a home, so customers can envisage the items in their own living environments. There is also a room that provides an insight into the company’s research and development process. All of Floyd’s products are available for purchase on-site, with the option for same-day delivery. The new Wild One accessories line “for pets and their parents” offers a tennis ball dispenser, tiered benches and mobile checkouts at its pop-up, where shoppers are encouraged to bring their canine companions. Everything from collars and leashes to poop bags are showcased across the 1,400-square-foot NoLiTa space, and a portion of proceeds from every purchase go to sponsor a different rescue pet each week. The post Five New York City pop-ups offering design-focussed gifts appeared first on Dezeen.